Home » Three Days of Fashion in….. Staten Island! Start counting down the days, because Fashion Island is coming to town. The three day fashion extravaganza is marking the beginning of a Fashion Week in NY. It promises to be a sophisticated and stylish affair, featuring a launch party at Casa Belvedere, then a display of the designs at the Staten Island Mall, and finally a runway show and a live auction of one-of-a-kind designs that were inspired by the Staten Island’s attractions. Oh and did I mention, you can vote for you favorite design and have a chance to win tickets to NY Fashion Week? 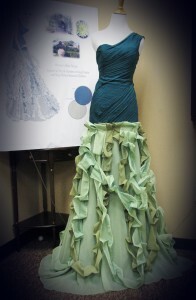 Check out an exclusive sneak peak of some of the designs that will be presented at Fashion Island. Can’t you just picture this yellow number on Kate Hudson, rocking it at a movie premiere? 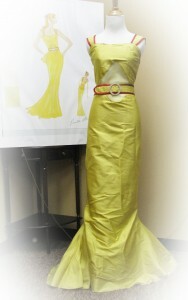 This gown was inspired by the Tuscan Gardens at Snug Harbor. 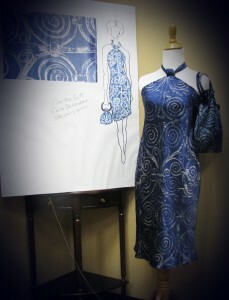 Silk Halter Dress with an original print created by the designer. Time to get ready and spice up Staten Island! There will be models, cocktails and good times, a perfect way to say goodbye to summer. Visit http://www.fashionislandsi.com/ to stay informed on all the festivities and to get your tickets to this stylish event.